The Resident Evil movies make money. That's why Hollywood keeps on making them. 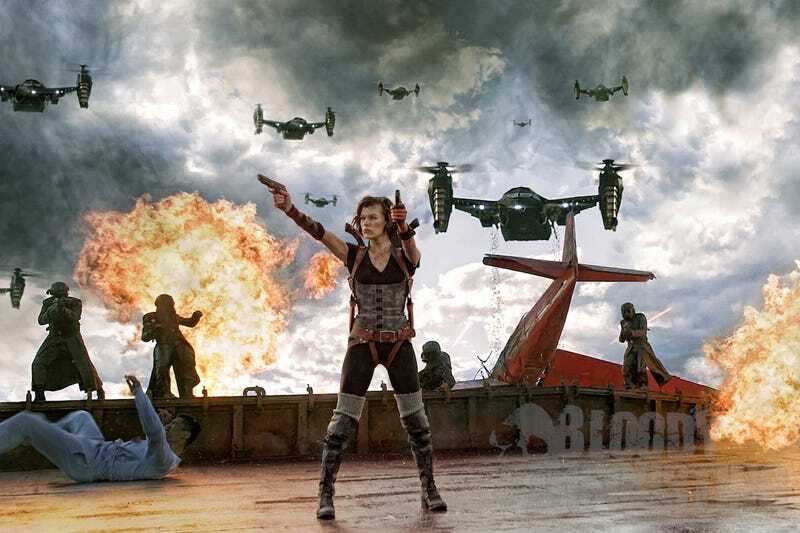 That's why there's the upcoming (and Sony hardware-filled) Resident Evil: Retribution. You can bet that, unless nobody sees Retribution, there's going to be another one. According to Resident Evil: Retribution director Paul W.S. Anderson, early on there was talk about shooting Retribution, the fifth RE flick, and the still unannounced sixth film back-to-back. "But if we made another one I do know where it would go," Anderson told website Bloody Disgusting. "And obviously it would be great to do two full trilogies and just bring everything to an end." Meanwhile, the movie's producers hinted that a prequel, instead of a sequel, could be in the works—or even spinning out another character. When asked if that meant Anderson was going to make another Resident Evil flick, he replied, "Yes. Definitely. Unless of course no one goes to see this one." The fate of yet another Resident Evil movie is in your hands theatergoers!